The Pololu 130 Size Brushed DC Motor is the same size as other “130” motors and features a wide operating voltage and low power consumption. With a recommended operating voltage of 3-12V and low stall current of about 800mA at 6V, these small motors can be used with many motor controllers. However, since these motors spin at more than ten thousand rounds per minute, they really need to be geared down to be useful for most robot projects. 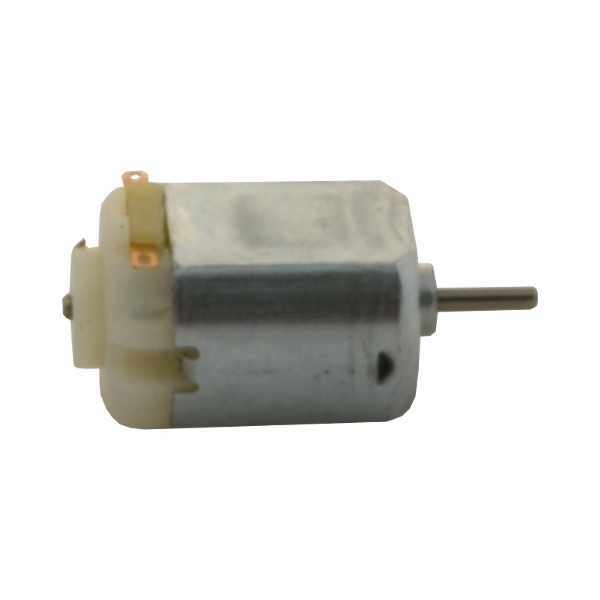 We recommend replacing the stock Tamiya gearbox motors with these motors. They will fit directly into our Tamiya 70097 Twin Motor Gearbox Kit for a more robust solution that gets your robot rolling.